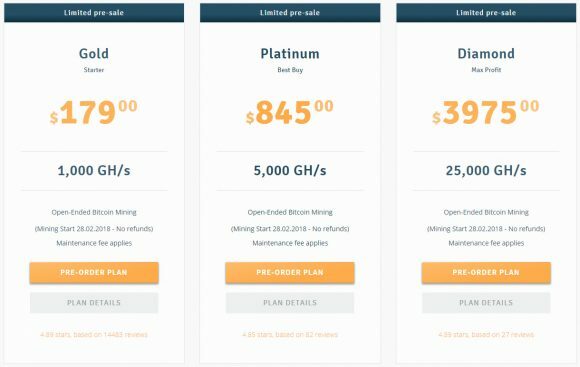 Genesis Mining has announced that will start to offer Bitcoin mining contracts starting Thursday, August 28th 2014 or with other words tomorrow. 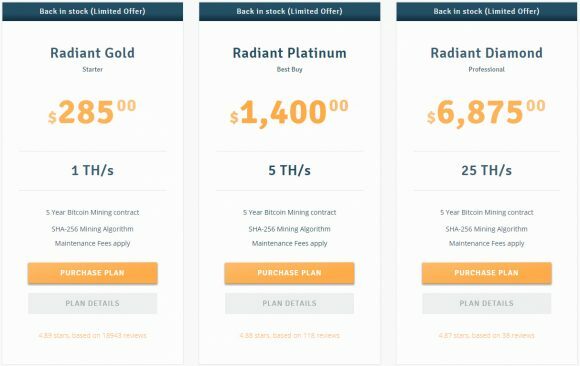 The new Bitcoin mining contracts will be introduced at very competitive prices starting at as little as $2.15 per GH/s according to the company. And the pricing is transparent: there are no additional fees or hidden costs. Up to now Genesis Mining has been offering only Scrypt cloud mining and we’ve been using the service for quite a while already and testing it, our initial impressions can be found here. Genesis Mining has been open on what hardware they are using to back up the cloud mining hashrate they sell to users and also is one of the few companies into the cloud mining business that allows the user some control on what currency to be mined/payed in such as LTC, DOGE or BTC for example. Similar functionality should also be available to the Bitcoin cloud mining users who will be able to choose to mine other SHA-256 coins such as Peercoin or Namecoin for example. If you are wondering about the supplier of the Genesis Mining of Scrypt ASIC miners, it is ZeusMiner and the company that they have partnered for the SHA-256 mining hardware is apparently Spondoolies-Tech. We do plan to purchase some Bitcoin cloud mining hashrate as soon as it becomes available and to do a short review of the new BTC mining functionality that should be introduced tomorrow, so stay tuned for our first impressions. Update: 28th has passed and the Bitcoin cloud mining functionality is not yet available, it is not wise to announce a date and then not to deliver the promised things on it. Furthermore there is not a single word on either Twitter or Facebook about why and when we are actually going to see the functionality available. This is the easiest way to loose the users trust – promising and not keeping your promises, and not giving an excuse on you were not able to!